Coal-water fuel (CWSF or CWS or CWF) is a fuel which consists of fine dispersed coal particles, water and plasticizing agent. This type of fuel is widely used as an alternative to gas and black oil on different heat generating facilities. 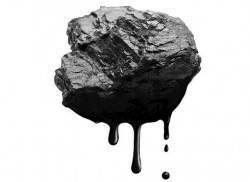 Operational economy is the main of advantages of the coal-water fuel. CW fuel has almost the same heat transfer level that the most expensive gas and black oil. Coal is cheaper in many times by comparison with gas and black oil. combustible (energy potential, combustion efficiency). carbon burning degree is up to 99%. CWF consists from 55-70% of fine dispersed coal particles, 30-45% of water and plasticizing agent. Water content provides the reduction of hazardous emission to the atmosphere and transforms coal to explosion- and fireproof material. The cost of coal is in 3 times lower than the cost of heating oil. In spite of all market’s fluctuations of coal prices, the balance between prices on fuel from heating oil and coal-water fuel is on the same level. First phase – preliminary disintegration to the fraction size 3-12 mm. If the slurry coal of fine fraction is used as raw material you can exclude this phase. Third phase – homogenization. On this phase is eliminated all irregularities of coal particles distribution inside of suspension, are supplemented plasticizing agents and stabilizers. On third phase CWF acquires the necessary homogeneous properties. Coal disintegration is the main goal that should be resolved during the CWF production process. Rheological properties and burning process stability are in the directly-proportional dependence from the stability of coal desintegration process with preset parameters and clear abidance of additive concentrations. Hammer grinders and ball mills of different types can be used for desintegration of coal, combustible schist or carbon residues. Among various existing methods of coal grinding, uninterrupted wet milling ball mills are the most widespread today. Pre-grinded to the fraction 3-6 mm coal particles are transferred to ball mills for further grinding. At the same time, water and additive are going to the ball mill. The coal is grinding in the mill to the size of fractions 0-3 mcm. After addition of all components, material is going back to the mill for further intensive grinding. decreasing of working space and others. Refer to following results of powder desintegration by AVS and different mills. As you can see from the table, application of AVS unit leads to considerable economy of duration of the process of material production (in 3 times), and at the same time we obtain in 5-6 times more product than if we would use ball mill with wet milling. It should also be noted that application of the AVS unit is the most effective for material regrinding process. Besides, vortex layer machines allow obtaining the product with the higher degree of particle fineness. Development by engineers from PC GlobeCore equipments allow intensify most of technological processes and raise production standards and exclude ball mills and vibration mills which are the sources of raised noise and dusting.